The chairman of the University of Warwick’s WMG (Warwick Manufacturing Group) academic department, Professor Lord Bhattacharyya (above), has announced that Europe’s first multi-million-pound Smart City Mobility Center (SCMC) will be based at the UK university’s Wellesbourne campus. The new Center in the West Midlands will bring together WMG’s research expertise and auto maker Jaguar Land Rover’s (JLR) leading research and engineering capabilities, with both parties working together at Wellesbourne to design and engineer connected, driverless-capable, prototype electric modular architectures. 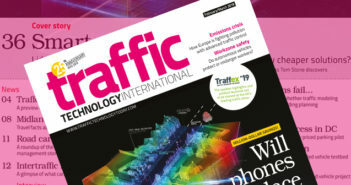 These will be tested in real-world conditions alongside a specially designed 5G cellular communications network on the University of Warwick’s main campus in Coventry and on roads in Warwickshire. As the center develops, it is expected to play a significant role in transforming the future of UK transport. • The WMCA development of a multi-city 5G cellular network testbed. The new Smart City Mobility Center will create state-of-the-art vehicle modular architectures and integrated driverless capability to support smart cities that could help make congestion, emissions and road traffic accidents a thing of the past. The SCMC will be Europe’s most extensive and significant integration of technology research projects at such a scale, combining the very latest research, transport data, infrastructure and vehicle prototyping. The Midlands is at the forefront of driverless technology that is expected to benefit the region and the whole UK. The vehicles developed and prototyped at the Smart City Mobility Center will benefit significantly from these regional developments in the 5G communications network that seek to deliver driverless vehicles to improve people’s mobility, reduce traffic congestion and road traffic accidents, and benefit the environment.